When you say refugium you are meaning sump, a refugium or fuge is a tank or area in a sump that people put a deep sand bed, macro algae or miracle mud into, a place also that usually has slower flow so pods can flurish, a sump which may or may not have a fuge is a place you put skimmers, heaters, reactors, probes and return pump. Who are all these people who are telling you bio balls over live rock ? I understand the difference between the two however there is no real separation between the skimmer area (sump) and the refuge. Water can still travel back and forward between the two area's. But as far as the bio balls, I'd rather not put names out there because one is on the forum. I'll just talk to them one on one should I talk to them about it again and find out why they're partial to it and explain the reasoning behind others opinions as well. Technicalities. lol The primary purpose of my "sump" is to have the Refuge. 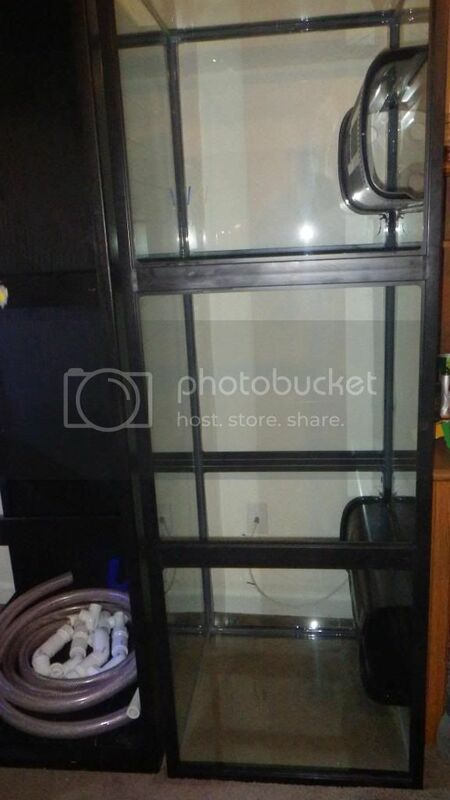 But seeing how a sump can either have or not have a Refugium area, I assumed it would make a bit more sense to refer to the sump as a Refugium because that's what it's being made for. Those look pretty nifty! Never seen those. How long did you cycle it in ro water? So as the end of the first day/night of assembly has reached itself, this is what I have done so far. Floor under the house has been reinforced. The plumbing has been completed minus installation of the bulk heads. (Can't find the freaking rubber gaskets I bought!) I got the Loc-Line heads from SeaScape today and installed them on their pipes. 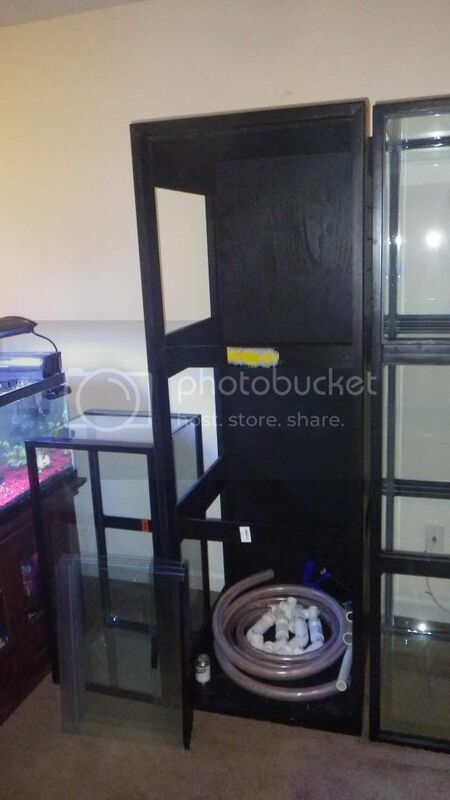 40G Breeder is set up in the stand (sump) along with a 20G Tall (ATO tank). Got lucky with the leveling of the tank. I filled it completely to check for leaks and also to level it. Its perfect at all 4 corners. I also have all my DIY rock being cycled in the garage minus about 7 pieces that are in my other tank that are already live. Total I have about 130 lbs of rock for the tank. Looking really good. Stupid gaskets! I'm having trouble finding some for my unions after I took them apart and painted some pieces. It's not like they are camouflaged. Yep looks like your diy rock is still leaching out a ton of salt as well, I wouldn't put it in a tank yet.